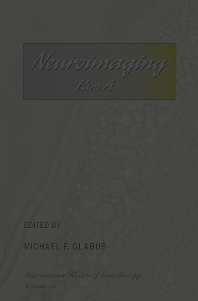 Consisting of two separate volumes, Neuroimaging provides a state-of-the-art review of a broad range of neuroimaging techniques applied to both clinical and research settings. The breadth of the methods covered is matched by the depth of description of the theoretical background. Part A focuses on the cutting edge of research methodologies, providing a foundation for both established and evolving techniques. These include voxel-based morphometry using structural MRI, functional MRI, perfusion MRI, diffusion tensor imaging, near-infrared spectroscopy and the technique of combining EEG and fMRI studies. Two chapters are devoted to describing methods for studying brain responses and neural models, focusing on functional connectivity, effective connectivity, dynamic causal modeling, and large-scale neural models. The important role played by brain atlases in facilitating the study of normal and diseased brain populations is described in one chapter, and the concept of neuroimaging data bases as a future resource for scientific discovery is elucidated in another. The two parts of Neuroimaging complement each other providing in-depth information on a broad range of routine and cutting edge techniques that is not available in any other text. This book is superbly written and beautifully illustrated by contributors working at the top of their chosen specialty. Neuroscientists, cognitive neuroscientists, neurologists, psychiatrists, psychologists, radiologists, nuclear medicine physicians, physicists, and technologists.